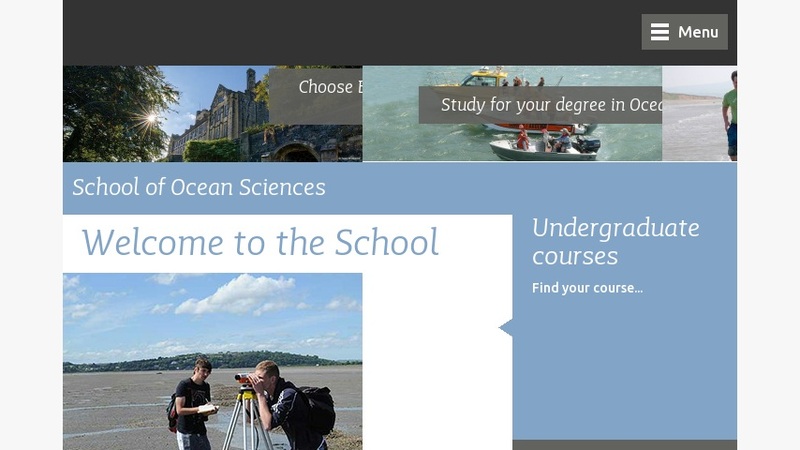 The School of Ocean Sciences, one of the largest university Marine Science departments in Europe, is a multi-disciplinary department located on the shores of the Menai Strait, North Wales, United Kingdom. The program is divided into four research groups: physics of the shelf seas, sedimentary processes, biogeochemistry, and marine biology. Site features information on faculty, courses, current research, and the Research Vessel Prince Madog.